February 22, 2010 - American Association of Airport Executives (AAAE), in comments filed on behalf of its membership, expressed concern with several aspects of a proposed Environmental Protection Agency rule aimed at revising ambient air lead monitoring requirements and tightening the standards around airports. Fuel used for piston-engine aircraft contains lead. EPA's proposal is to treat airports identically to other sources of lead when determining if source-oriented lead monitoring is needed. Aviation's challenge is that, while alternative fuel research is well underway, there is currently no safe, economically viable alternative to leaded fuel for piston-engine aircraft. In its comments, AAAE's Regulatory Affairs team outlined several issues of concern with the proposed revisions. AAAE also offered suggestions toward working with the EPA to develop a more environmentally friendly alternative to leaded fuel at a pace that would not jeopardize fuel prices, unnecessarily increase cost, or sacrifice the safety of the GA industry. "While airports support the overall goal of improving air quality by reducing lead emissions, we are concerned that too hasty an approach could create safety hazards and place unnecessary economic burden on general aviation airports," said AAAE Director of Regulatory Affairs Leslie Riegle. "We're urging EPA to take a prudent approach to this complicated subject, and not force fuels on the industry that aren't proven to be safe for operators and fuel handlers. We also don't want to see small airports face the daunting financial challenge of setting up and maintaining infrastructure for an avgas-alternative fuel to support only part of the GA fleet currently using leaded fuel." AAAE and its membership recognize the need to move away from leaded fuel. However, until a viable alternative is proven safe and technologically compatible with existing aircraft, AAAE urged EPA to take a phased approach that helps the environment without crippling a key GA segment. "There is not an immediate fix," AAAE noted in its comments. "It may take many years to commercialize a product that will meet the qualifications to use as a 'drop-in' fuel for existing aircraft engines. Until this time, we would like to work with the EPA on strategies that will benefit the environment, but not eliminate this vulnerable segment of this essential industry. 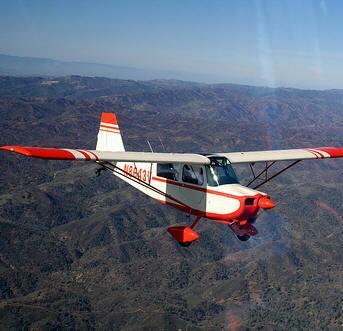 The entire GA industry--aircraft manufacturers, fuel producers, general aviation pilots, fixed-base operators (FBOs), and airports--are on the same page with this issue and are working towards a resolution." AAAE also urged caution when determining where to place monitoring stations around airports. Placing a monitor next to a heavily trafficked runway will produce vastly different data than placing a monitoring station near a terminal building. Other factors, such as wind direction and relative humidity, also impact data results. AAAE urged EPA to instruct local authorities working with airports to take these critical factors into account when setting up new monitoring stations. Founded in 1928, AAAE is the world?s largest professional organization representing the men and women who work at public-use commercial and general aviation airports. AAAE?s 5,000-plus members represent some 850 airports and hundreds of companies and organizations that support the airport industry. Headquartered in Alexandria, Va., AAAE serves its membership through results-oriented representation in Washington, D.C., and delivers a wide range of industry services and professional development opportunities, including training, conferences, and a highly respected accreditation program.